My parents are both big readers. They're the type of people who can go to the library or the bookstore and get lost in the stacks for hours perusing the possibilities. And true to form, they always emerge with a stack of weighty looking books. Hardback, five-hundred-plus pages, and bearing a strange resemblance to the Oxford Unabridged Dictionary... Sometimes they were fiction, sometimes not, but they were always books my parents could bury themselves in for days. I inherited their love of reading, completely with a tendacy to run my fingers across the spines as I walked the shelves. Granted, as a child I wasn't ready to tackle hundreds of pages. I doubt I could have even carried those books, but I did love them. Sadly, in middle school I lost my love of reading. I can make a lot of excuses for why books and I grew apart. I was a busy kid during those years with lots of school sports, non-school sports, performances, competitions, etc. But the truth is, I don't know what happened. There's no specific moment I can pinpoint that changed it all. I just put my books away and never looked back. In fact, I can't honestly tell you that I remember reading a book until the summer before my freshman year in high school. My mom took me to the bookstore I guess because she needed to pick something up or maybe she was secretly hoping that I'd find something for myself. She parted me in the teen secetion (still an extension of Children's at the time) and told me that she'd be back. So I scanned titles, looked at covers, pulled out books and reshelved them until I ran across one book in particular. The book in and of itself was nothing special. 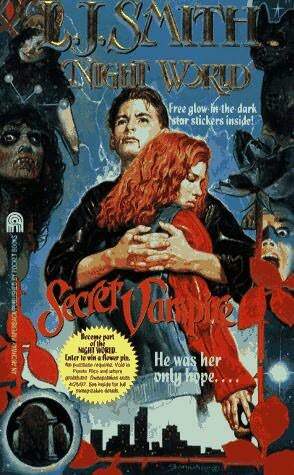 It was a tiny paperback with a cover done in that distinctive '90s style a la R.L. Stine or Christopher Pike, but I'd never heard of the author -- L.J. Smith. My mom bought it for me without a single question and I devoured it. And when the last page was turned I went back to the beginning and started over. It was the only book I read until the next book in L.J. Smith's the Night World series came out the following spring. I had to have them all the minute they were released and I had to read them as soon as I got home from the store. I still have my original set of these books along with the Vampire Diaries, the Secret Circle, Dark Visions, and the Forbidden Game. I also own the bind ups of each. 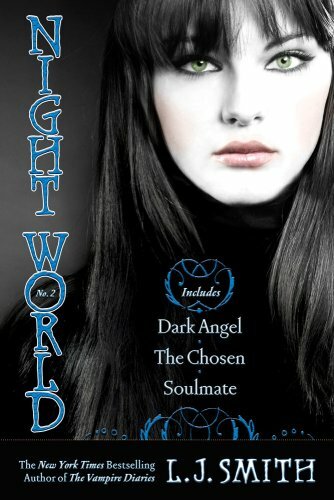 These books, particularly the Night World series, are near and dear to my heart. I've been waiting for well over a decade for the final book, Strange Fate, to be released although it looks unlikely. (It was scheduled for April of last year, then this year, and now it's listed on Amazon for 2014.) But that's neither here nor there because L.J. Smith has given me so much more than a pile of books. She gave me a renewed love of reading. Without her writing I might never have picked up a book again. I don't fangirl over famous people. It's not in my nature, but I think if there was one person who might get a fangirl moment out of me it would be L.J. Smith. That's why I was so outraged about a month ago when I learned that she had been fired from writing the Vampire Diaries series and subsequently saw this letter from her. I understand the politics of the industry and have some knowledge of the intricacies of contracts and books-for-hire, but I was no less upset that the woman who had crafted a world so many readers have come to love would no longer be guiding the characters she created as the story moves forward. Even moreso, it hurts my heart to know that she will have to relinquish the series and watch someone else take over. I know how difficult it is for me to hear that as a reader. I cannot imagine how difficult it is for her as a writer. 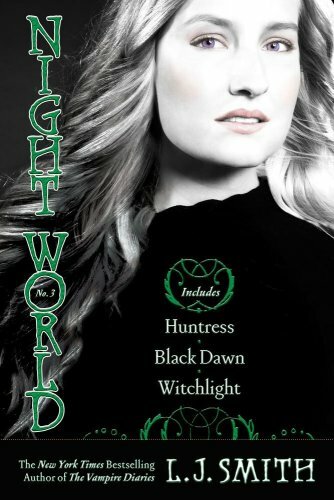 For all she has given me I want to do something to give back and to celebrate her writing, so I'm giving away a full set of Night World bind-ups. If you haven't these books and you love young adult fiction then you are missing out. They have been out there for well over a decade and have remained relevant to the genre, falling out of print briefly and making a triumphant return. They've stood the test of time, and if you don't own them then I want you to have the chance to add them to your collection. I love LJ Smith!! The Dark Visions trilogy is my favorite, followed by the Forbidden Game, although the end of that one makes me kind of sad. Sooo good! That's LJ Smith's Secret Circle series for me. I still have my original copies from the early 90s I have have re-read them countless times. In fact, I am due for a read soon. This post made me happy.